Keeper's 1 in. x 12 ft. x 500 lbs. Polar Camo Ratchet is perfect for winter activities. The 500 lbs working load limit nylon webbing is 12 ft. in length, abrasion resistant, and will not rot or mildew. It comes with a padded handle ratchet for added comfort. The Everbilt 96 in. Oak Heavy-Duty Closet Pole is a strong, durable solution to traditional closet storage limitations. Constructed from finger-joined and edge-glued red oak, the pole is more warp- and sag-resistant than basic solid pine and fir dowel varieties. The red oak wood also takes a stain much better than pine or fir, allowing you to easily match with existing moulding and trim work in the closet. Supporting up to 500 lbs., the pole makes it easy to adjust and reposition hangers with its smooth, cylindrical design. Our Pro Series Stainless steel worktop is 1 inch in thickness. The 24 Gauge stainless steel surface with a MDF core adds a clean,sleek look to you're garage. This worktop gives you plenty of room to complete your project. Clean up is a breeze with a heavy duty finish that wipes clean so that you can get on with your day. The CamJam XT Aluminum Rope + Cord Tightener features Nite Ize signature, knot-free CamJam tightening and tensioning technology. 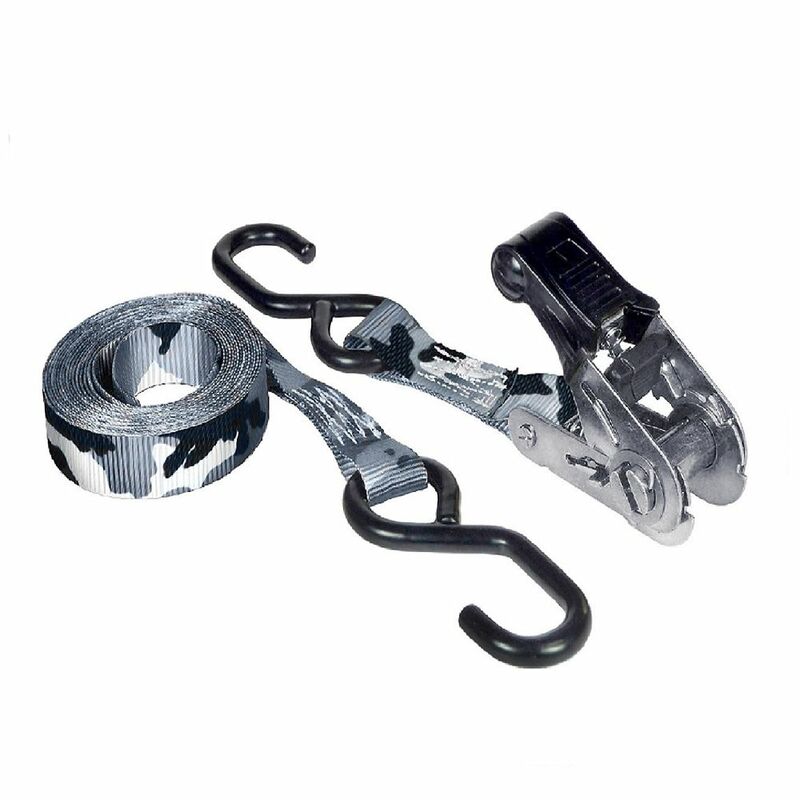 Built from durable, cast aluminum, this rugged combination of carabiner and cam mechanism is designed to tighten, tension, connect and secure serious loads up to 500 lb. The CamJam XT features a carabiner clip and gate on one end, and a rotating cam mechanism on the other. This clever design allows the CamJam XT to be configured in either a Fixed End or a Loop System with a rope or cord to securely tie down heavy or bulky loads. 12 FeetPolarCamoRatchet, 500lbsWWL Keeper's 1 in. x 12 ft. x 500 lbs. Polar Camo Ratchet is perfect for winter activities. The 500 lbs working load limit nylon webbing is 12 ft. in length, abrasion resistant, and will not rot or mildew. It comes with a padded handle ratchet for added comfort.